As part of our strong commitment for technological development, our company makes important investments each year in an effort to meet new customer demands as well as pre-empt future requirements. Innovation is our company’s way of thinking and understanding so we can identify and integrate change. Thus we continue to provide the largest HFFS machinery range in the market. 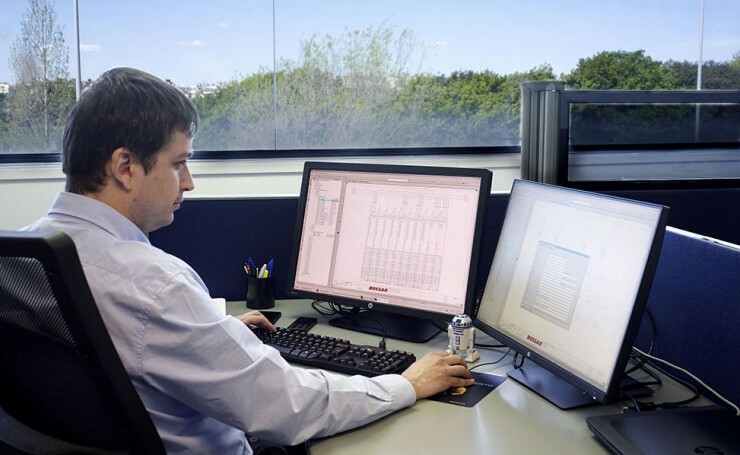 In BOSSAR, we have an internal R+D Department where we develop our in-house technology. We work hand in hand with our customers to identify, design and develop new packaging concepts and machine innovations. This philosophy allows us to adapt and anticipate market requirements and our customer’s ongoing needs. This way we generate successful ideas that have culminated in the most innovative machinery available. Full servo controlled horizontal FFS machines (BMS series). BCS series carousel machine to form and fill pre-made pouches with format changeover from the touch screen taking less than 2 minutes. Hybrid BVH series for vertical-horizontal working concept. Committed with efficiency, quality and innovation, Bossar was founding member and occupied the first Presidency of the Packaging Cluster, a business association encouraging cooperation among their members to promote innovation within the packaging sector thus benefiting the productive process of our customers.